After graduating from Iowa State University, Dr. Lindstrand worked her first job in Charles Town, West Virginia where she did small animal relief work. She then moved to Mt. Pleasant in 1994 and started working for the Mount Pleasant Animal Hospital. In 1998, Dr. Lindstrand opened the Isabella Cat Clinic. 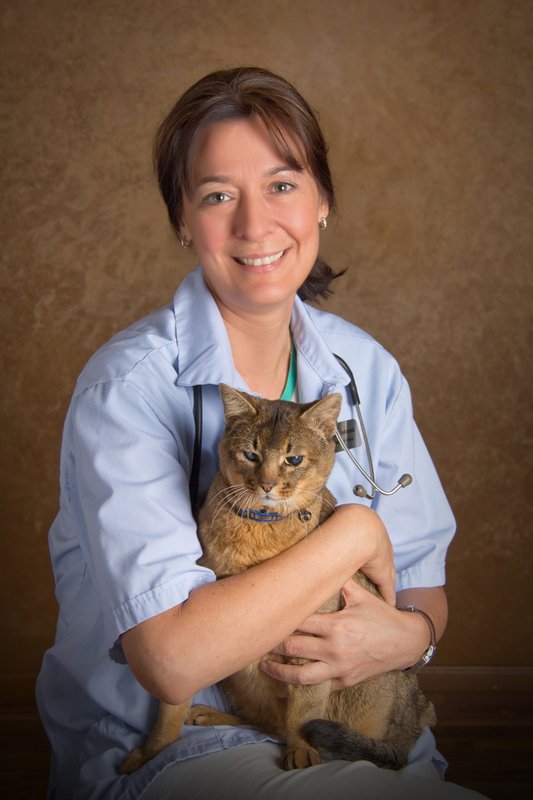 Dr. Lindstrand’s special interest within feline medicine is geriatrics and internal medicine. When not at work, Dr. Lindstrand loves to go hiking, fishing, horseback riding, and loves to read good mystery novels. She lives in Shepherd with her two children, Clay and Kate. In January of 2007, Dr. Lindstrand completed the prescribed course of study by the International Veterinary Acupuncture Society, certifying her to practice acupuncture on animals. Click here for more information about Dr. Lindstrands’ acupuncture practice. Dr. Lindstrand is a member of the American Veterinary Medical Association, the Michigan Veterinary Medical Association, and the American Association of Feline Practitioners, and the International Veterinary Acupuncture Society. Click here to learn more about our wonderful staff members.